When I taught secondary English, grading essays was my least favorite task. I was happy to read them, but assigning letter grades? I hated that. I hated judging. I hated trying to determine the difference between a B and an A, or, worse, between a B-plus and an A-minus. Some had watched classmates complete an entire assignment during a lull in history class and then score A’s. It wasn’t fair. “Harrrrrrrrrrd” was my signal to say that no, it didn’t seem fair, but that good writing comes from more than just time sheets and sweat. It’s the words on the page that matter. Each time it happens, I pull out the old talk about time sheets and sweat. I add that whingeing is the hallmark of the amateur. And I meditate upon Tracy Chevalier. Chevalier wrote the critically acclaimed historical novel Girl with a Pearl Earring. Her next (third) novel began as a draft written in third person, with small sections in first-person voices of children. The finished manuscript was a disappointment. When I reread the first draft, she says, I cried at the end. It was boring, dead weight, terrible. Then I looked it over and thought, there’s nothing wrong with the story except the way it’s told. I had the idea when, just as I was finishing the first draft in third person, I read Barbara Kingsolver’s The Poisonwood Bible, which uses five different voices beautifully. It’s a wonderful book, using multiple voices very successfully, and I thought, “Oh, that’s an interesting technique, I wonder if I should take the kids’ voices I’ve already written and have the three of them tell it.” It just felt right. The revision was published as Falling Angels, an exquisite novel about a young wife and mother struggling to survive in the rigid, but rapidly changing, social structure of Edwardian England. The book is written in first person, from twelve perspectives, in twelve distinctive voices. I came across Chevalier’s account when I was just beginning to write fiction and became obsessed with the work. Writing an entire manuscript, setting it aside, starting all over—it had to be pure drudgery. I couldn’t imagine putting myself through that. I took the draft, and it was like taking a vase and setting it down so hard it shatters, then putting the pieces back together in a different way. I rewrote the whole thing in first person with all these different voices. That passage doesn’t describe drudgery. Shattering a vase, putting the pieces back together to make something new—that’s a picture of creation, of the excitement and the pleasure and the beauty that accompany it. I love Tracy Chevalier’s novels and admire her talent. But, on a more personal level, I’m grateful to her for sharing publicly how Falling Angels made its way into print, for reminding me that hard work and drudgery aren’t synonymous, for implying it’s okay to cry over a bad draft and that perceived failure can turn into success, and for showing that the act of writing itself affords as much pleasure as the spirit is willing to embrace. And—for tacitly suggesting that no one really needs to hear me whinge about how harrrrrrrrd I work. It’s the words on the page that matter. Note: I do love Chevalier’s novels. In fact, I love Falling Angels so much that during library duty one Saturday morning, I was so intent on finishing the book—just racing toward the climax—that I unlocked the front doors but left the lights in the reading room off, and spent the next ninety minutes parked behind the circulation desk, reading and hoping no one would walk in and want something. I’m not proud of what I did, but patrons didn’t seem to notice anything different, and I finished the book. Note: The angel pictured above stands in the Oakwood Cemetery in Hendersonville, North Carolina. Carved from Italian marble, she is the angel often referred to in Thomas Wolfe’s Look Homeward, Angel. Wolfe’s childhood home is in Asheville, about twenty miles north of Hendersonville. Information about Tracy Chevalier comes from Fiction Writers Review. and on the group blog, Writing Wranglers and Warriors. When Howard was four, he and his baby sister were playing in the living room, while his mother and his grandmother sat at the kitchen table just around the corner. A few days before, while staying with his grandmother, Howard had said something cute–he did that a lot–and today, over coffee, his grandmother told her daughter about it. Writers never stop writing. We may be immersed in experience and emotion, and at the same time be standing outside ourselves, thinking, That would make a pretty good story. A couple of weeks ago, I was riding the Washington, D. C. Metro, going from Reagan International Airport to Bethesda, Maryland, for Malice Domestic, a convention at which fans and authors celebrate the traditional mystery. My plane had arrived late. Darkness had fallen and seeped into the rail tunnels. Signage was… lacking. I couldn’t see names of the stops, nor could I understand the voice announcing them. I’d already wasted time by taking the YELLOW LINE instead of the BLUE LINE, because, on impulse, I decided my way would get me to the RED LINE just as easily as the BLUE LINE would. And it would have, if the YELLOW LINE I boarded hadn’t been going the wrong way. If I missed my stop now, there was a distinct possibility I would have to sleep on the Metro, which is considered taboo. Now, each Metro car has one map beside one of the doors. At a stop near mine, I decided to move to the front seat so I could see and count the stops preceding mine. I rose, pushed my humongous suitcase into the aisle, and somehow managed to position it between me and the front of the car. So I pulled up the handle and tried to turn the case so I could roll it behind me. At the same time, I tried to exchange places with it. I think. That is when the suitcase attacked me. Rocking back and forth, it threw me off balance, and I fell backward, full length, into the aisle. On the way down, I thought, I’ve never fallen this direction before. Then my bottom hit, and after that, my head. When I realized my head would hit the floor, I had a nanosecond of worry, but I hardly felt the impact. That surprised me, because my head is protected by far less padding than is my bottom. It was such an easy fall, very much like lying down in the aisle, without knowing you’re going to. Here’s test question #1: How does this not-so-pretty-good tale about a train ride relate to thinking like a writer? Because when no one ran to help me up, and I realized I was alone, surrounded by dark, unfamiliar territory far from home, where anybody and his mean dog could enter the car at any time… I lay in the aisle, smiling, gazing at the ceiling, and thinking, This will make a pretty good story, won’t it? Unfortunately, this obsession–the word is an exaggeration, but sometimes it feels like obsession–with story isn’t necessarily welcome… because we can’t switch it off. It follows us into the sickroom and stands with us at the graveside and makes us feel ashamed, because one small corner of our minds is nearly always detached, removed from real life, observing, remembering, writing. We speak about the subject among ourselves. But when we speak about it to non-writers, we concentrate on the lighter side. The other part we prefer to leave in darkness. Only the relative anonymity of the blogger allows me to write about it here. Test question #2: Do you write all the time? Do you know when you’re not writing? Have you had an experience that would make a pretty good story? Note: Imagine the child in the portrait above with blond hair… That would be Howard. Note: Metro riders who knew where they were going were so very helpful in assuring me that, yes, the YELLOW LINE would stop at Gallery Place. I think I asked at least a dozen of them over the course of the evening. A transit worker carrying a broom yelled at me, but I’m sure he was doing the best he could, bless his heart. I am sorry to say I raised my voice a couple of decibels in return (righteous indignation), but, bless my heart, I was doing the best I could, too. It’ll probably make a pretty good story. 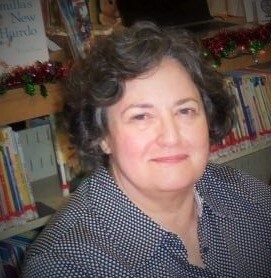 You can read Kathy Waller’s personal blog here, and once or twice a month she posts at Writing Wranglers and Warriors. 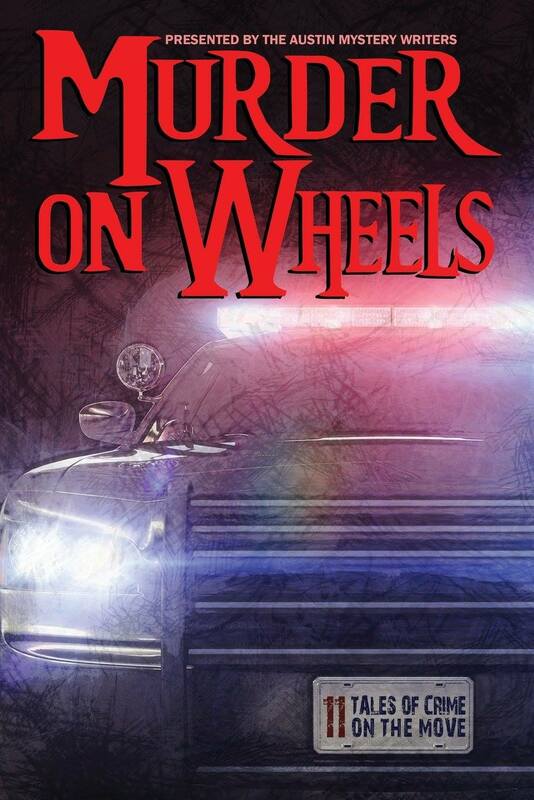 Two of her stories appear in AMW’s MURDER ON WHEELS, published by Wildside Press and available at Amazon and Barnes & Noble.